Masanari Kawahara is a performer and educator who incorporates puppetry, mask, and movement into his work. He was a company member of In the Heart of the Beast Puppet and Mask Theatre (HOBT) from 1998 to 2009. At HOBT, Masanari collaborated on numerous productions. His last production as a company member, A Path Home: A Story of Thich Nhat Hanh (2009) was chosen as outstanding puppetry of the year by Lavender. He also worked on the productions Beneath the Surface (2008), La Natividad (2008), and Wild Swans (2004). He was the co-creator and designer of GOTAMA: Journey to the Buddha (2006), recognized by City Pages as one of the ten great sets/scenic designs of the year. 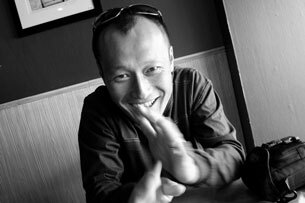 In addition, Masanari has conceived, designed, and directed several solo short works including GOJIRA! (2006-2008) and O-Rho Rho, the song of the Owl God (2004). He created a performance art piece RETURNING as the recipient of the Naked Stages Program (2004). His latest project is a solo performance piece, HIROSHIMA (work-in-progress), directed by Molly Van Avery, performed as part of Pangea World Theater’s Alternate Vision series in 2011. HIROSHIMA will be completed in the fall of 2013. As an actor, Masanari has worked with Jon Ferguson in Pinocchio (2011), Pangea World Theatre in Conference of the Birds (2009), Illusion Theater in Cirque de Guerre (2008), as well as with Theater Mu and the late Theatre de la Jeune Lune. As a teacher, Masanari has taught puppetry, mask making, and how to create pageants. His students have ranged from first graders to college students, from south Minneapolis to South Korea. Currently, he teaches at Pillsbury House + Theatre as a resident teaching artist, and Upstream Arts as teaching artist. Masanari Kawahara is a Playwrights’ Center McKnight Theater Artist Fellow (2010-2011). Masanari Kawahara, Arts on Chicago Artist from Pillsbury House Theatre on Vimeo. "I think there are more stiltings in Powderhorn than anywhere in the world."